Fully furnished condominium between the ocean and bay! 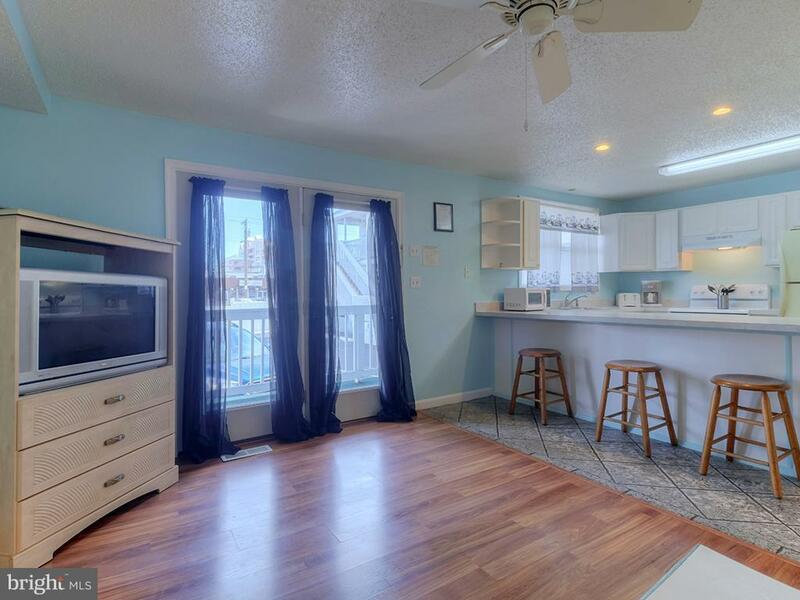 First floor unit provides easy care laminate and tile flooring in the living areas, with an owners suite with tile shower, second bedroom and half bath. Full size laundry in the unit! 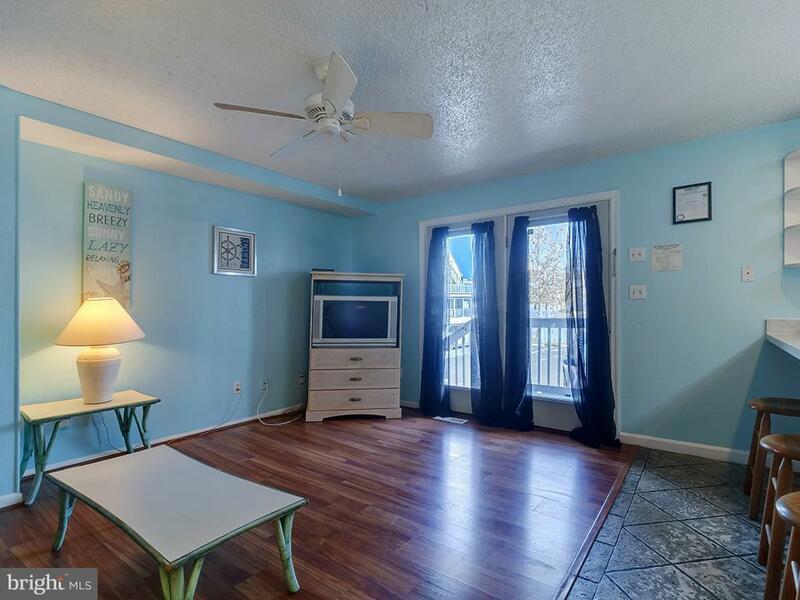 Condo fee includes seasonal security, Direct TV, assigned parking space and community pool. Bring your fishing gear, just a block from the public pier. 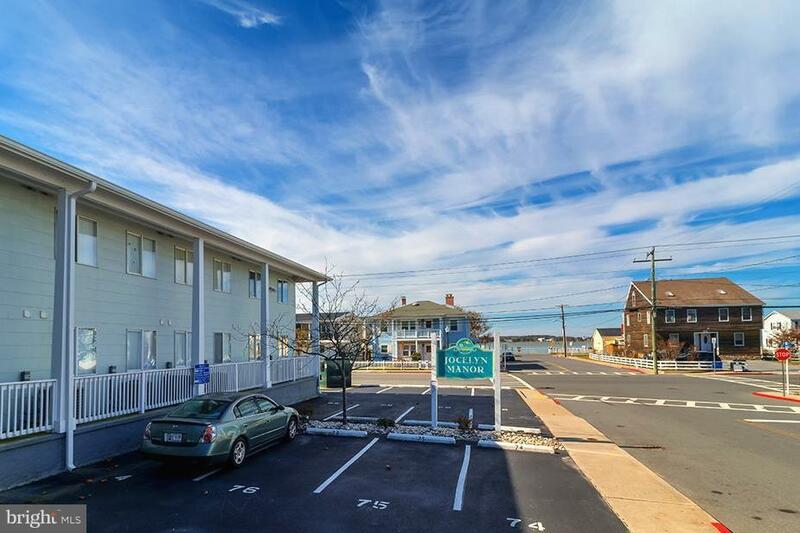 Walk to the beach and boardwalk, and view stunning sunsets over the bay. 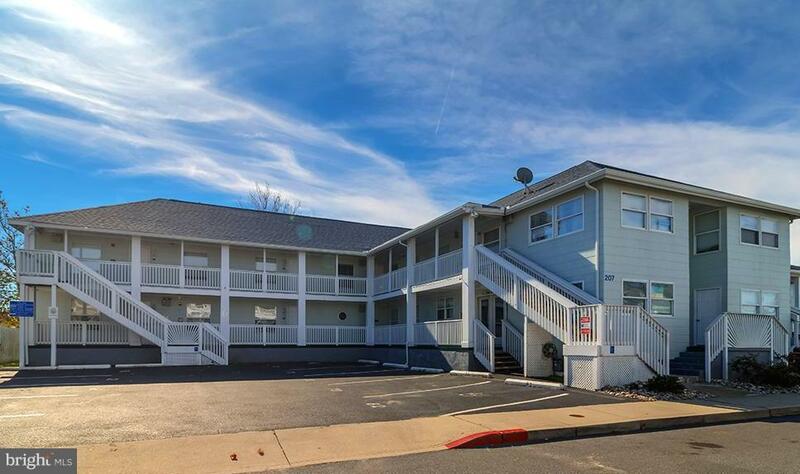 Make this your new beach retreat or investment property!